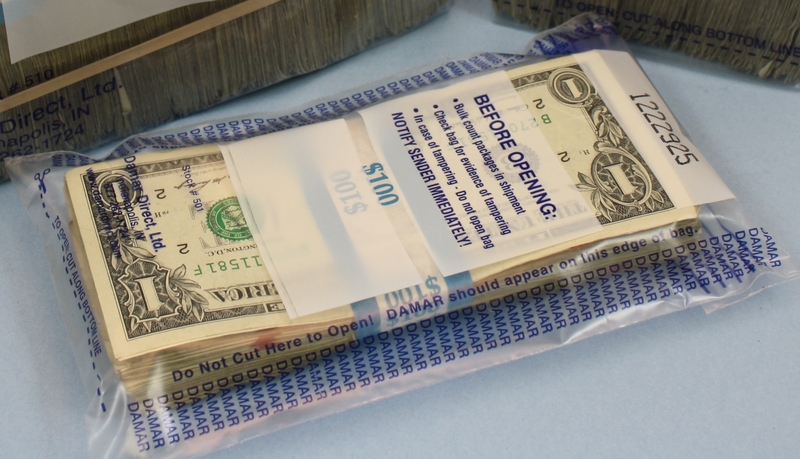 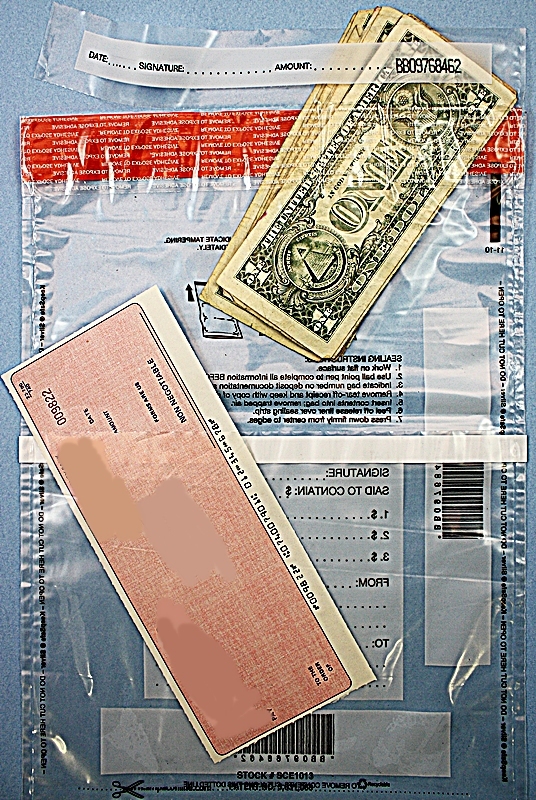 01 912C CLEAR "A Bag"
9" w x 12" L, Clear, Tamper Evident High Security "VOID" Inline Closure, Indented Twin-Seal Side Welds, Sequentially Numbered With Matching Number Tear-Off Receipt. 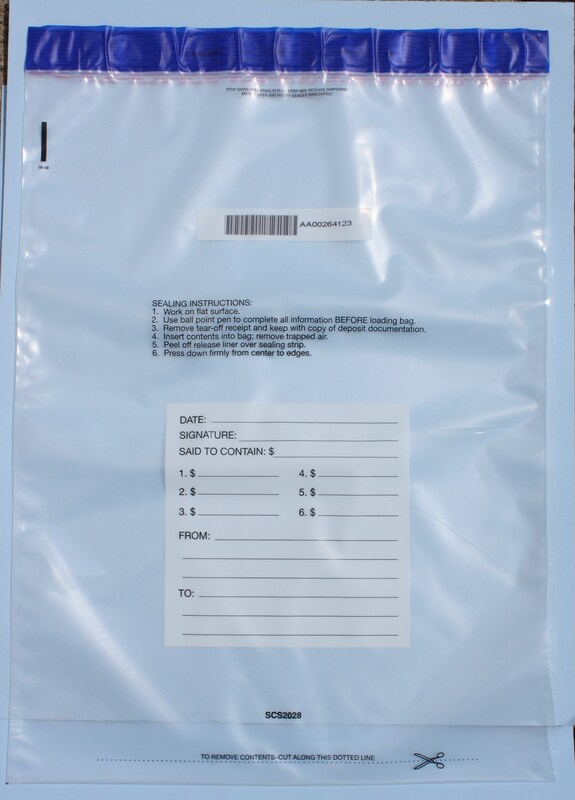 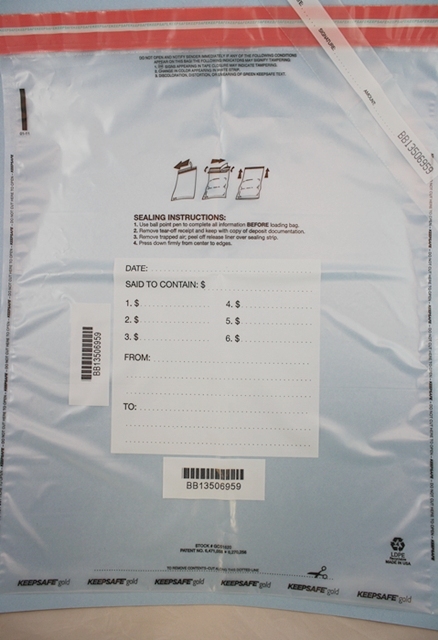 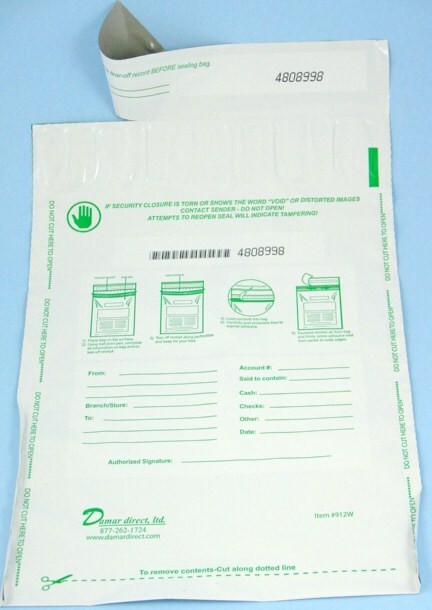 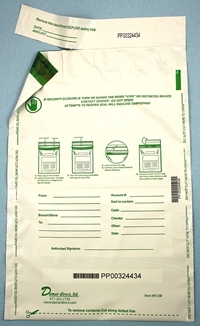 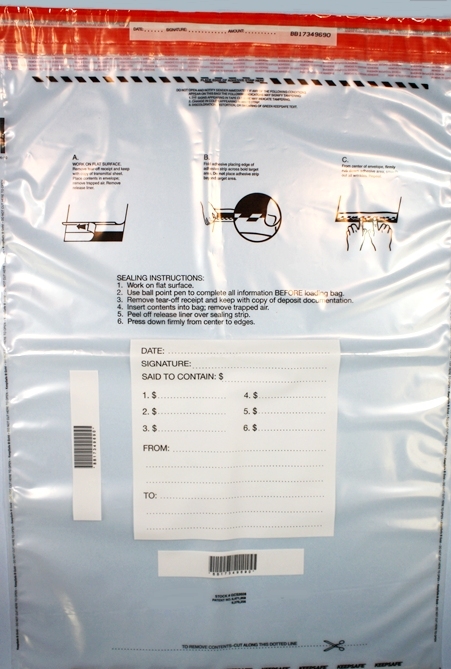 02 I-GPS0912 - 912W WHITE "A Bag"
9" w x 12" L, White, Tamper Evident High Security "VOID" Inline Closure, Indented Twin-Seal Side Welds, Sequentially Numbered With Matching Number Tear-Off Receipt. 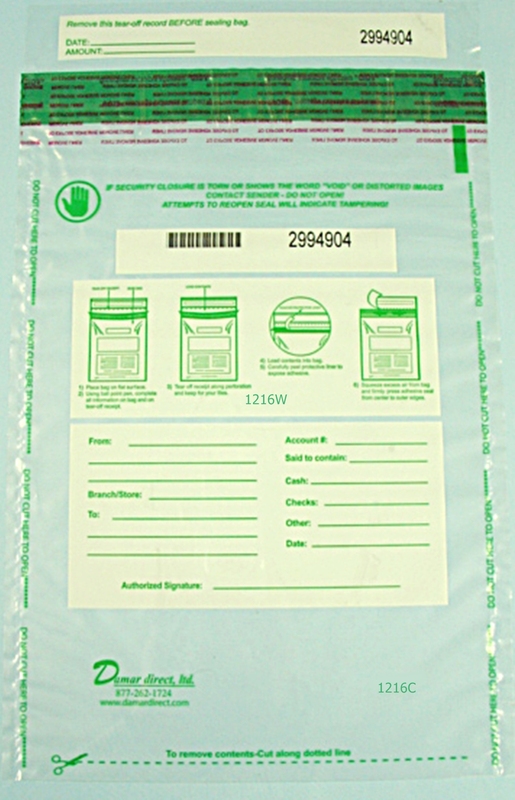 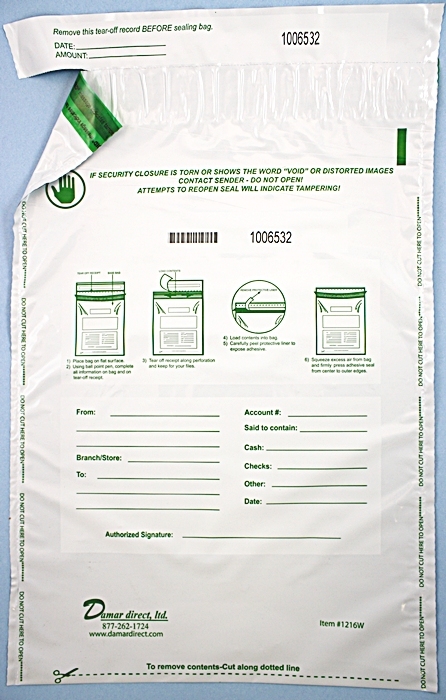 Backside Re-closable Document Pocket, Tamper Evident High Security "VOID" Inline Closure, Indented Twin-Seal Side Welds, Sequentially Numbered With Matching Number Tear-Off Receipt. 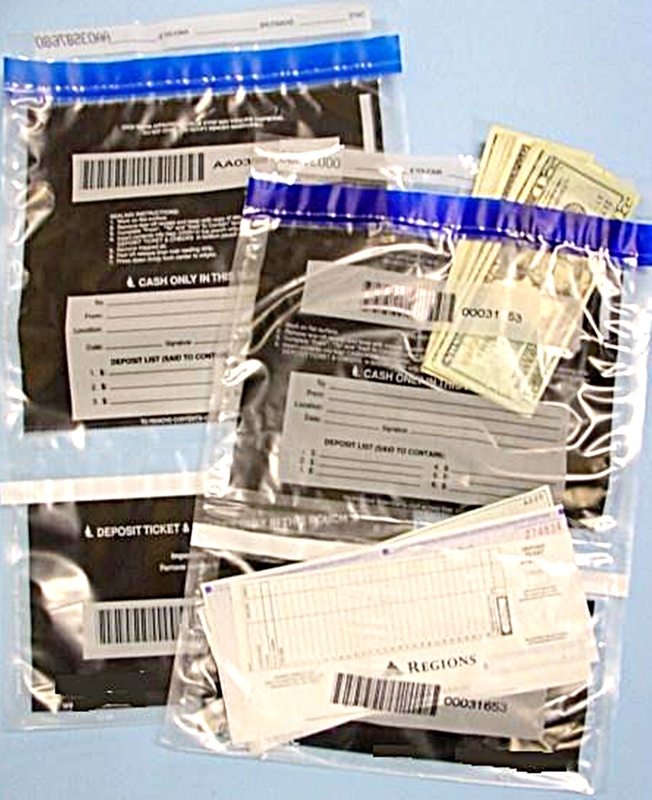 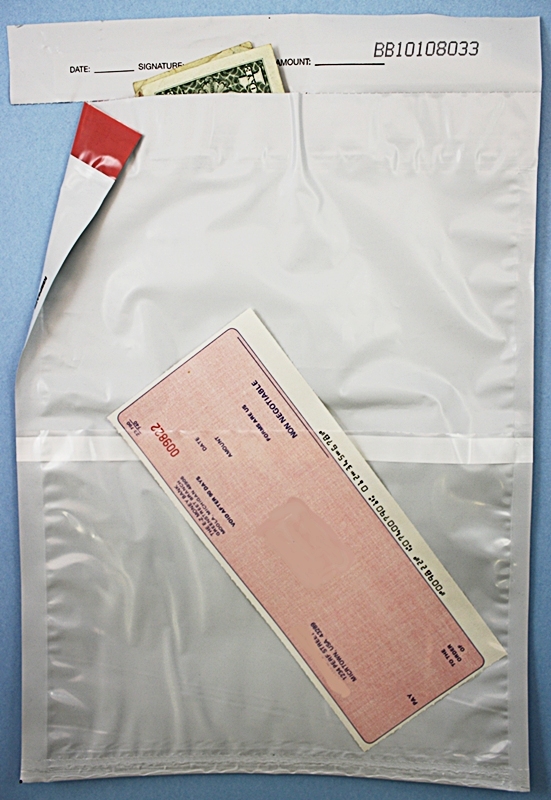 Clear Front/Black Backside, Tamper Evident High Security "VOID" Closure For Cash, Bottom Re-Closable Pouch For Checks and/or Deposit Ticket, Black Backside Allows User To Fold Bag When Carrying To Conceal Contents, Clear Front Allows Viewing Of Content. 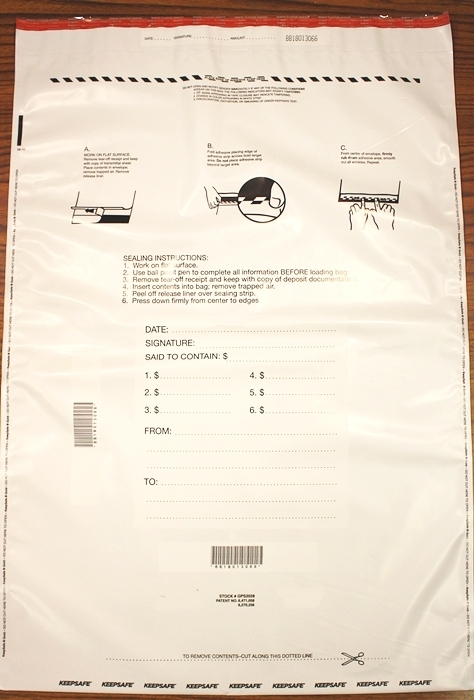 07 1216C CLEAR "D Bag"
12"w x 16"L, Clear, Tamper Evident High Security "VOID" Inline Closure, Indented Twin-Seal Side Welds, Sequentially Numbered With Matching Number Tear-Off Receipt. 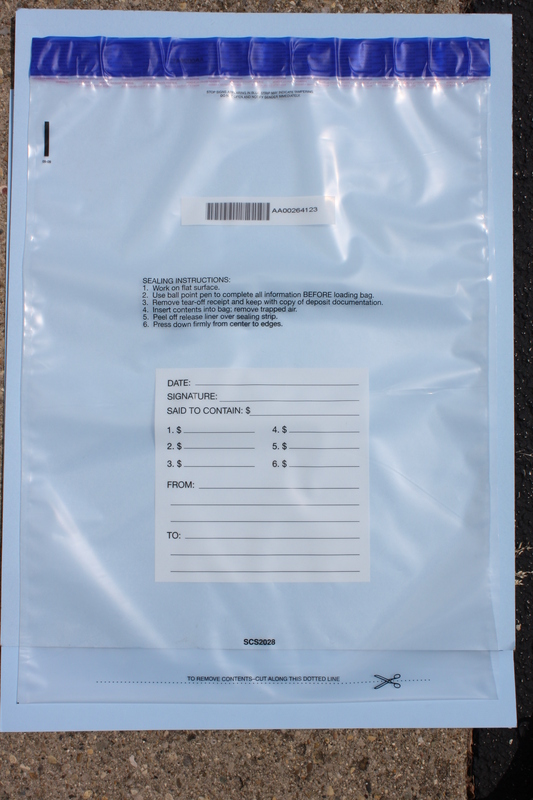 08 GPS1216 WHITE "D Bag"
12 "w x 16"L, White, Tamper Evident High Security "VOID" Inline Closure, Indented Twin-Seal Side Welds, Sequentially Numbered With Matching Number Tear-Off Receipt. 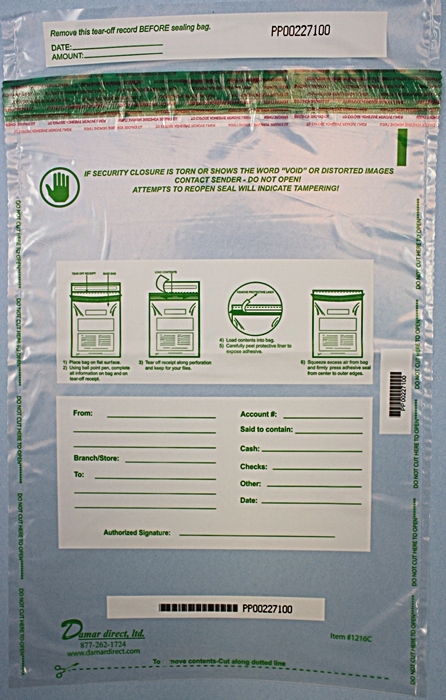 12 "w x 16"L, White+Backside Re-closable Document Pocket, Tamper Evident High Security "VOID" Closure, Indented Twin-Seal Side Welds, Sequentially Numbered with Matching Number Tear-Off Rceipt. 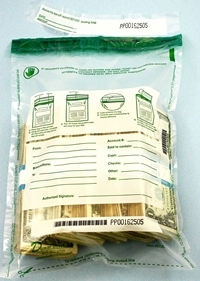 11 I-DDB1620 CLEAR "E Bag"
12 GPS1520 WHITE "E Bag"
14 I-DDB2020 CLEAR "F Bag"
15 I-DDB2025 CLEAR "G Bag"
16 I-DDB2028 CLEAR "H Bag"
19 "w x 28"L, White, Tamper Evident High Security "VOID" Closure, Pouch Weld Side Seams, Sequentially Numbered With Matching Number Tear-Off Receipt. 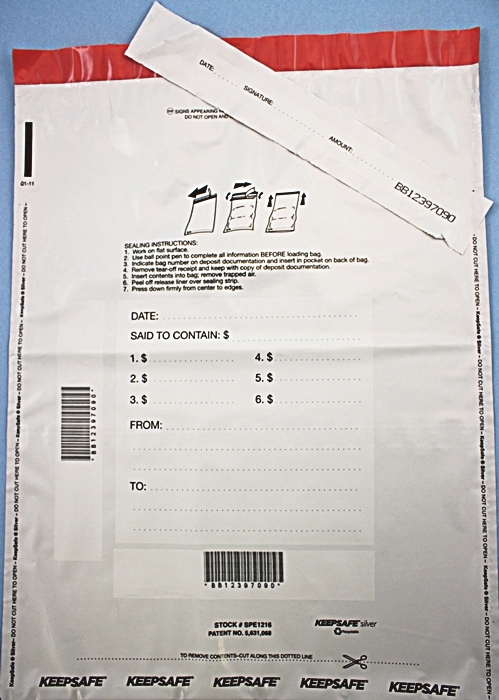 Numbered with matching number tear-off receipt.